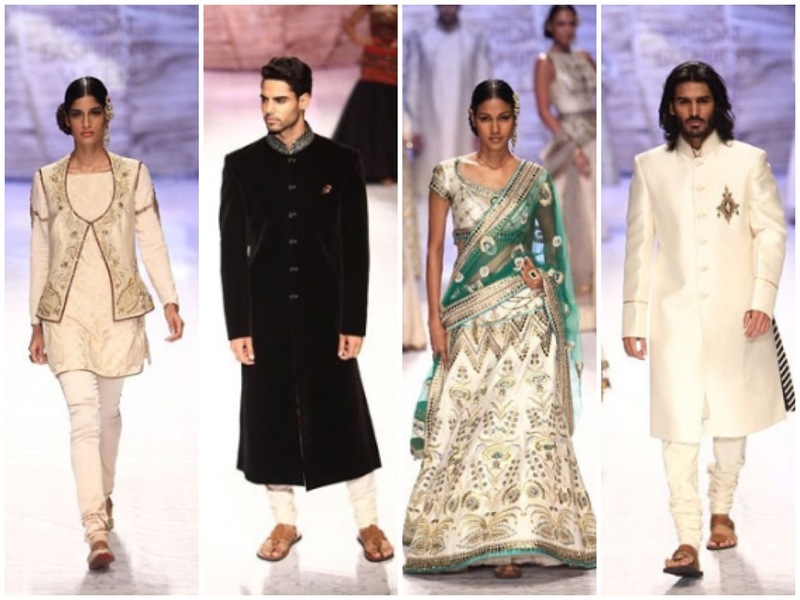 India Bridal Week has officially started! JJ Valaya and my favorite Shantanu & Nikhil opened up the first day of the show. 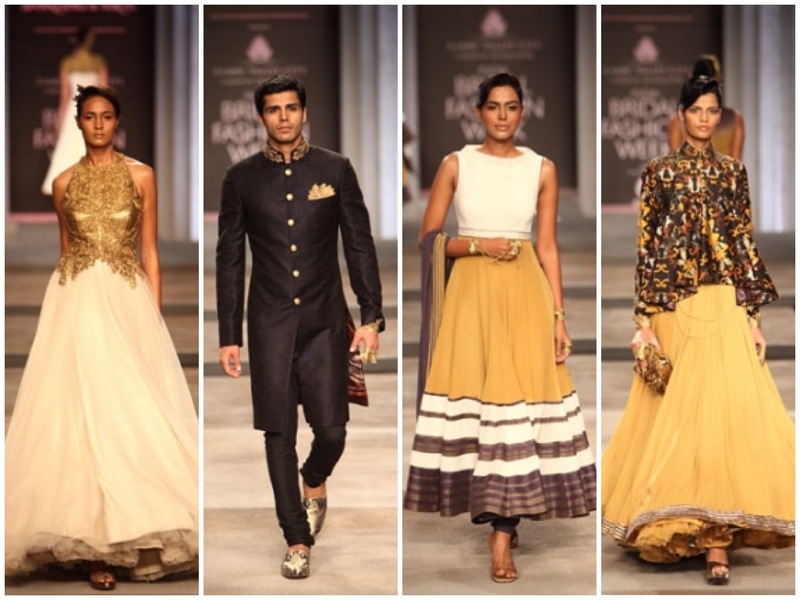 JJ Valaya’s concept was a royal reception for a maharaja’s return from a voyage from Madrid. 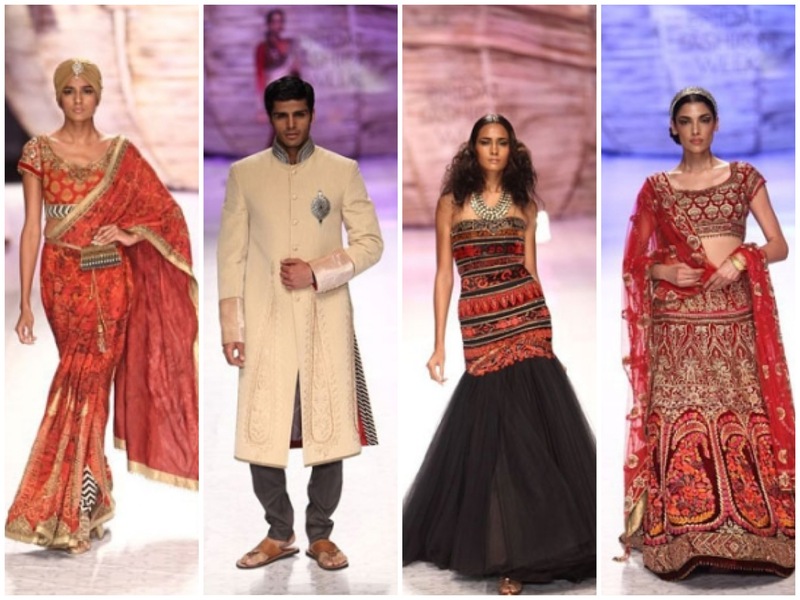 The collection showed textile hertiage of Iberian culture fused with Indian craft and motifs. The red Spanish rose and the Spanish skirt silhouettes brought the Madrid flare. 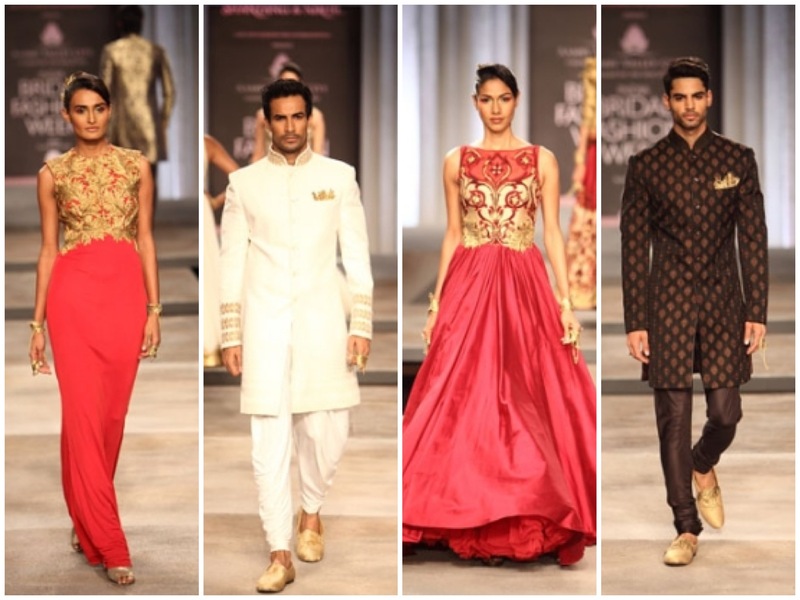 Shantanu & Nikhil’s collection “To Die For.” was really to die for! Not only are they one of my favorite designers but their craftsmanship is just amazing! They have reformed the Renaissance period into a contemporary form in this collection. Lots of gold, flowly modern silhouette, and soft monochromatic tones, completed the collection.